Gluten is the protein found in wheat. It gives breads, pastries and pasta its fluffy texture. Over time, constantly eating gluten will break apart the tight junctions of your gut lining, resulting in multiple food allergies, autoimmune disease and leaky gut. But it wasn’t always this way. Wheat was a friend at one point before it was hybridized. Now it is a foe. Emerging research has confirmed that gluten not only affects the gut lining, it also affects the brain too. Our physiology has not changed much since our ancestor’s time, but our food has rapidly transformed within the last 50 years. Modern food manufacturing, including genetic engineering, has allowed us to grow grains that contain up to 12% to 58% more gluten than grains grown just a few decades ago. The hybridization of wheat was at first considered a good thing because it increased the crop yield, there was more food available. Everyone’s immune system has evolved to tolerate what their endogenous foods are. This is based on wherever you’ve lived, where your grandparents lived, whatever your ancesteral generations have eaten, they have passed on that immunity to you that says whether you do or do not react to a food. Now, there is almost no such thing as ‘native grain’, so its not a matter of Celiac or Sensitvity anymore. It is now a matter of hybridization of a substance that your body doesn’t recognize. We are in a generational change for food and our immune system just doesn’t recognize the hybridization or the GMO foods that we are consuming. This is precisely why there is a significant correlation between neurological diseases and the consumption of wheat gluten. Celiac disease (CD) is an auto immune disorder that involves the small intestines and characterized by an inflammatory process when the individual is exposed to gluten. Within the last few years gluten has been speculated to be the culprit for a whole spectrum of neurological diseases. Unfortunately, the majority of these studies have only been performed using people who have CD, and not the general public. 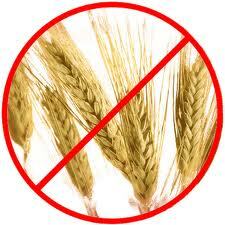 For many people who are not afflicted with CD, gluten is considered safe to consume. 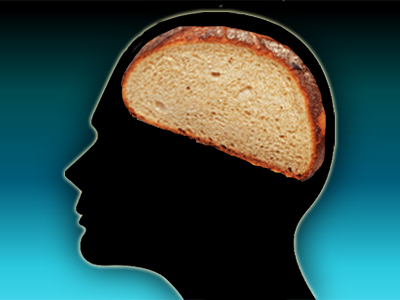 Recent research has shown that even if you do not have Celiac Disease, your brain is still affected by it. In Celiac disease, the gut is the typical manifestation site but atypical neurological presentations are thought to occur in 6 to 10% of cases. Cerebellar ataxia is shown to be the most frequent symptom. (The cerebellum is the part of the brain that controls coordination, balance and movement. When there is ‘ataxia’ this means a lack of control of these functions – and damage to the part of the brain that controls those functions.) Prevalence of neurological disease within the population of those with celiac disease is staggering. The type of neuro diseases predominantly studied are Epilepsy, Alzheimer’s, Dementia, Autism, Stiff Person’s Syndrome, Schizophrenia, Parkinson’s disease, Multiple sclerosis, and Migraines. The effect of gluten on neurological and cognitive impairment has been studied in those afflicted with celiac disease, but how does gluten effect those with out it? Does gluten play a role in the development of neurological conditions? And for those who present without neurological symptoms, does gluten still have an effect on the brain? In two studies comparing Schizophrenic patients with non Schizophrenic patients, the Schizo patients demonstrated 23.1% and 5.4% higher levels of antibodies to gluten than the control group without Schizophrenia. Know anybody who has chronically high levels of Prolactin? One research study proved one of the brain altering effects of gluten. In this case, a compound in gluten acts as an opioid chemical that leads to the excessive excretion of the neuro hormone, Prolactin. A rare autoimmune neurological disorder characterized by fluctuating muscle rigidity in the trunk and limbs and a heightened sensitivity to stimuli such as noise, touch, and emotional distress, which can set off muscle spasms. GAD antibodies (Antibodies to your own calming neurotransmitter GABA) measured in those affected with Stiff Persons Syndrome, 86% positive results suggested a link between gluten sensitivity and GAD antibodies. There was a significant elevation of 60% greater reaction in autistic children between antibodies with cerebellar and gliadin peptides (gliadin is a part of the wheat protein) than the control group. Results stated gluten may be responsible for some neurological symptoms. 36% of Japanese patients with adult onset cerebellar ataxia were positive for antibodies to gluten, and showed improvement with a gluten free diet. Gluten sensitivity is common to patients with idiopathic (no known cause) neurological disease. The studies observing antibodies in their samples showed 30 out of 53 idiopathic neurological patients had positive anti-gliadin antibodies (AGA); 5 out of 94 with specific neurologic disease had positive AGA; 6 out of 50 healthy controls with no neurological presentation had AGA present. The first of the two cross sectional studies reported significant brain perfusion abnormalities in adults with celiac disease that were on a gluten containing diet. Results showed improvement in MRI scans with adherence to a gluten free diet. The other study found significant atrophy in the caudate nucleus and gray matter of celiac patients who did not have neurological symptoms. This is important to note that although one has not expressed neurological symptoms of disease yet, there is still damage being done to the brain. In two studies, results suggested a significant portion of patients with migraines may have celiac disease. 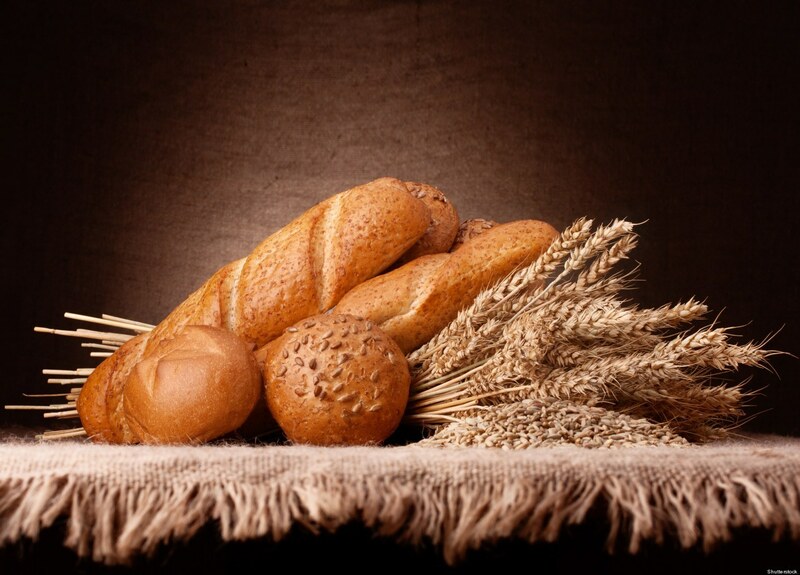 A gluten free diet lead to an improvement in migraine duration, frequency and intensity. MRI results showed nonspecific hyperintensities and slow diffusing within the brains of celiac patients. Neurological symptoms and brain scans improved or stabilized with gluten free diet. In 2013 a study was conducted with 400 people who had no diseases, no neurological conditions and were all different ethnicity’s. The goal was to see how wheat and milk proteins affected normal people with no disease. What they found was that milk and wheat proteins cross react with the part of the brain that controls movement and coordination. A.K.A: the cerebellum. What happens is when you eat milk and wheat, they look similar in protein sequence to the cerebellum and cause an immune response in your body that calls for an attack on your brain. Antibodies develop and you get loss of coordination, ataxia, uncontrollable muscle spasms, and a whole host of other neurological symptoms. The term is called molecular mimicry. The pathophysiological consequences of molecular mimicry involving wheat and milk with human tissue is difficult to predict. This is because they can be influenced by multiple factors, including an individual’s genes, the timing and level of exposure to gluten and dairy, and the health of the gut and blood brain barriers. Do you want to know if you have leaky gut? Do you want to know what foods you are having a cross reaction to? Do you want to know if you have these antibodies to gluten or autoimmune disease developing? Comment below or email me for further information. Bottom line: If you have ANY sort of autoimmune disease OR Neurological disease you absolutely must get off gluten. If you have Hashimoto’s, IBS, Crohn’s, IBD, Ulcerative Colitis, Psoriasis, Eczema, Endometriosis, Lupus, Celiac Disease, Sjogren’s Syndrome, Rheumatoid Arthritis, Multiple Sclerosis, Alopecia, Fibromyalgia get off of gluten. If you have Parkinson’s Disease, Alzheimer’s, Dementia, Autism, Epilepsy, Schizophrenia, Bipolar, get off gluten. In the words of the incredible doctor that I have worked alongside with for the last 5 years, Dr. James Jack, “The body is amazing and it can fix anything.” Don’t be alarmed if you have these conditions. Your body can heal and it wants to heal! There is so much you can do to help yourself get into a state of optimal health. Test, Don’t Guess. Do a Leaky Gut Test to see if you have it so you can repair it. The Array 2 by Cyrex Labs is the first step. If you’d like more information please email me or comment below. Repair your gut lining. Collagen, Probiotics, Bone broth, Digestive enzymes, Aloe vera. There is more to the whole protocol but this just gives you an idea. I hope you’ve enjoyed this novel of a blog on Gluten and Neurological Disorders! Salentijn EM, Goryunova SV, Bas N, van der Meer IM., van den Broeck HC., Bastien T, et al. Tetraploid And Hexaploid Wheat Varieties Reveal Large Differences In Expression Of Alpha-gliadins From Homoeologous Gli-2 Loci. BMC Genomics. 2009; 10(1), 48. Molberg O, Uhlen AK, JensenT, Flæte NS, Fleckenstein B, Arentz–Hansen H, et al. Mapping Of Gluten T-cell Epitopes In The Bread Wheat Ancestors: Implications For Celiac Disease. Gastroenterology. 2005; 128(2), 393-401. Hadjivassiliou M, Gibson A, Daviesjones G, Lobo A, Stephenson T, Milfordward A. Does Cryptic Gluten Sensitivity Play A Part In Neurological Illness?. The Lancet. 1996; 347(8998), 369-371. Usai P, Serra A, Marini B, Mariotti S, Satta L, Boi M, et al. Frontal Cortical Perfusion Abnormalities Related To Gluten Intake And Associated Autoimmune Disease In Adult Coeliac Disease: 99mTc-ECD Brain SPECT Study. Dig Liver Dis 2004; 36(8), 513-518. Bilgic B, Aygun D, Arsland AB, Bayram A, Akyuz F, Sencer S, et al. Silent neurological involvement in biopsy-defined coeliac patients.. Neurol Sci. 2013; 32(12), 2199-204. Gabrielli M., Pola P, Cremonini F, Gasbarrini A, Giacovazzo M, Santarelli L, et al. Association Between Migraine And Celiac Disease: Results From A Preliminary Case-Control And Therapeutic Study. Am J 2003; 98(3), 625-629. Persons with schizophrenia have higher than expected titers of antibodies related to celiac disease and gluten sensitivity. – GreenMedInfo Summary. http://www.greenmedinfo.com/article/persons-schizophrenia-have-higher-expected-titers-antibodies-related-celiac. Published January 01, 2011.Updated January 2013. Accessed February 02, 2014. Fasano A, Berti I, Gerarduzzi T, et al. Prevalence of celiac disease in at-risk and not-at-risk groups in the United States. Archives of Internal Medicine. 2003;163(3):268–292. Bonciolini V et al. Cutaneous Manifestations of Non-Celiac Gluten Sensitivity: Clinical Histological and Immunopathological Features. Nutrients. 2015 Sep 15;7(9):7798-805. A very informative piece. I will definitely share! Thank you!